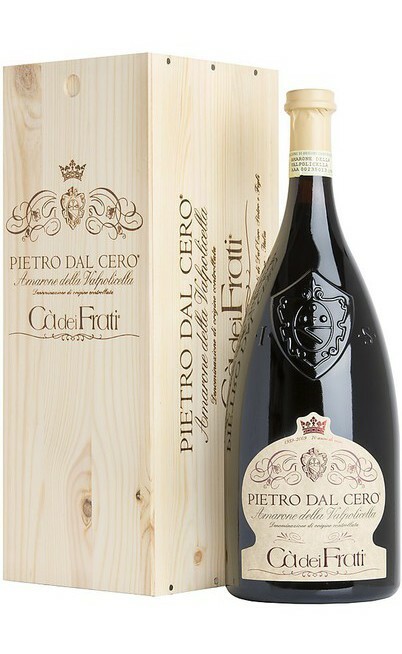 The Pietro Dal Cero label is dedicated to the children who today are the manager of the Ca Dei Frati winery hailing from the Valpolicella. 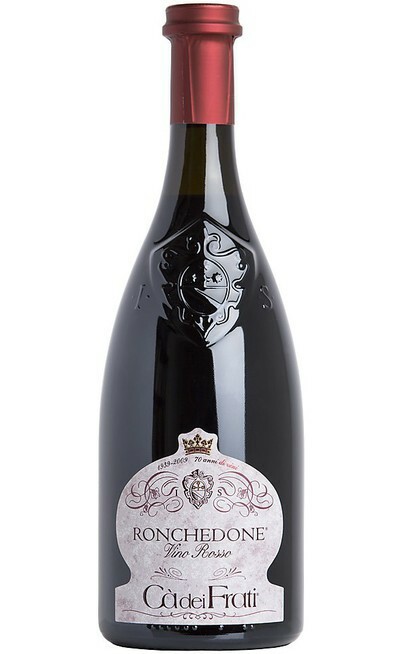 The classic wine of the oriental hills of Verona has a specific inscription of the founder of the company to remark the history of the house and to re-taste the flavors and the wind of those lands symbol of this territory in the world. 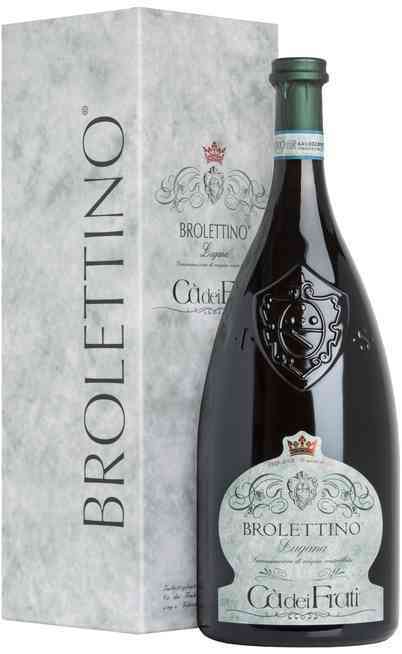 It is a blend of Corvinia and Corvinone, Rondinella and Coratina. 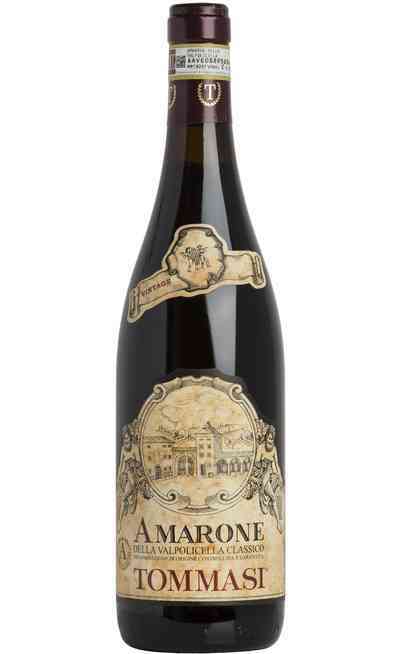 These are produced in the DOC Amarone della Valpolicella territory in Luxinum and Pian di Castagne areas. 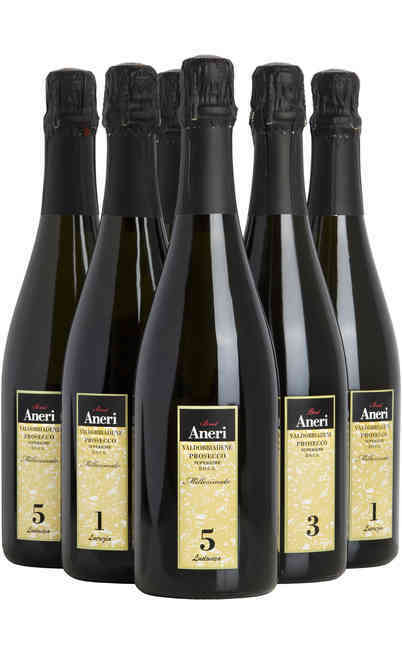 The soils have calcareous origins with sand and clay made of white flakes. The cultivation method is the Guyot with an annual profit of 70 quintals. 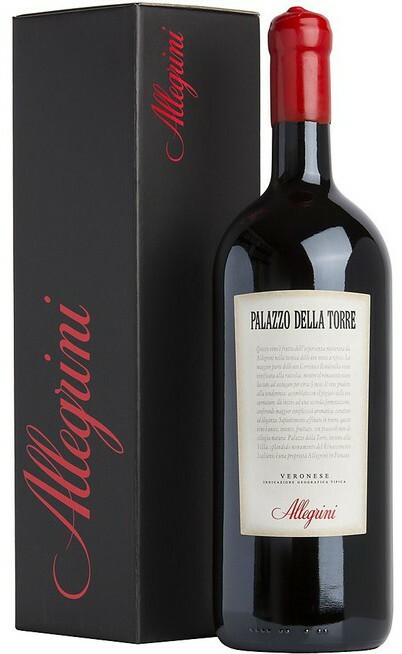 The wine making process starts with a withering in boxes and a maceration in steel tanks where the must and the wine remain in contact with the peels for long time. 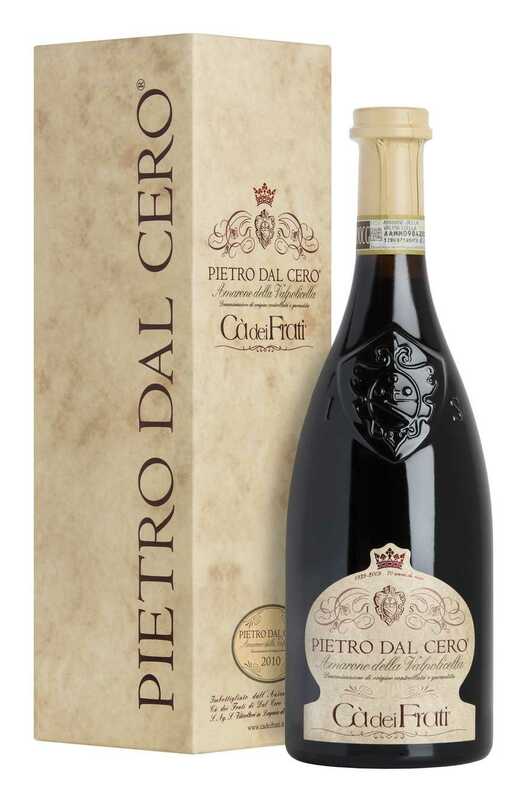 The malolactic fermentation is fully carried out and the process ends with the barrel aging for 24 months, then 12 months in steel and finally 24 in bottle. 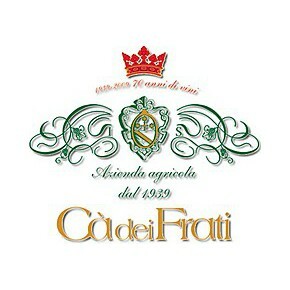 The amarone della valpolicella Ca dei frati wine achieved the 17% of proof with a complex acidity of 7,5 grams per liter. 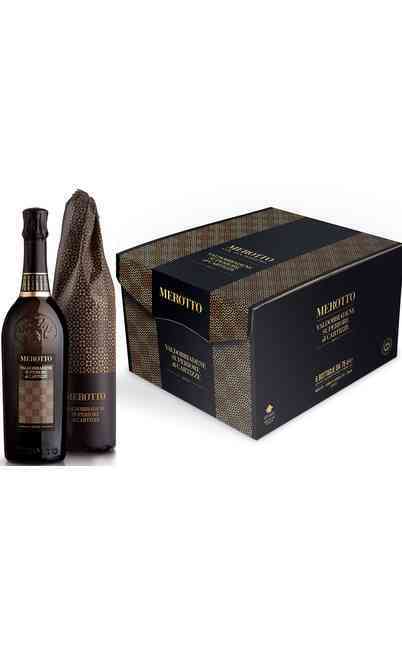 The dry extract is 40 grams per liter. 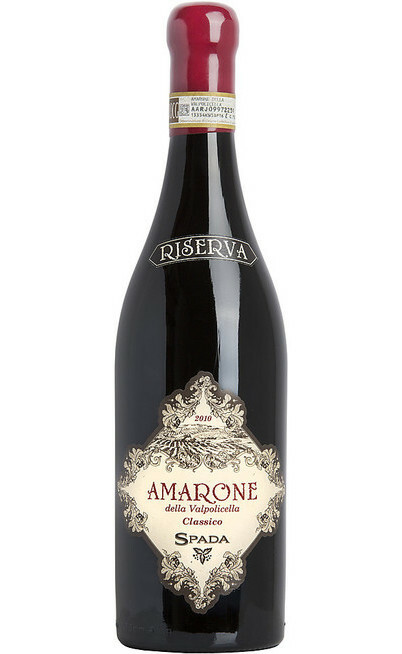 This wine has garnet red color very deep and austere. 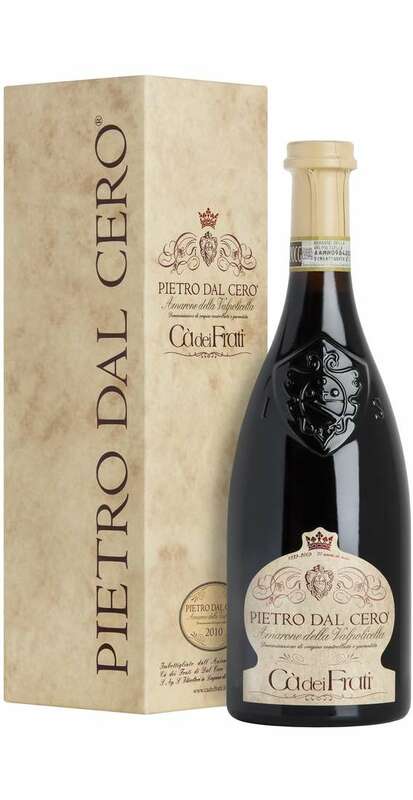 The ripen fruits aroma comes to the nose and it is exuberant with a full, powerful, bodied and vigorous taste which is remarkable also for the roundness and structure almost balsamic. 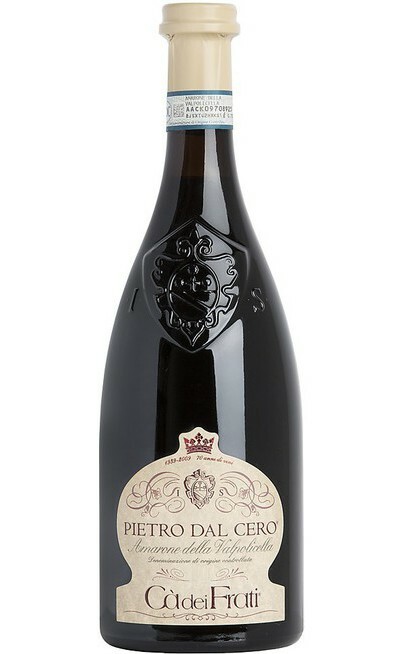 The Pietro Dal Cero Amarone della Valpolicella wine is perfect with structured and rich courses, very tasty. Perfect with the game, with grilled meats or with mushroom tagliatelle and with creamy risotto. 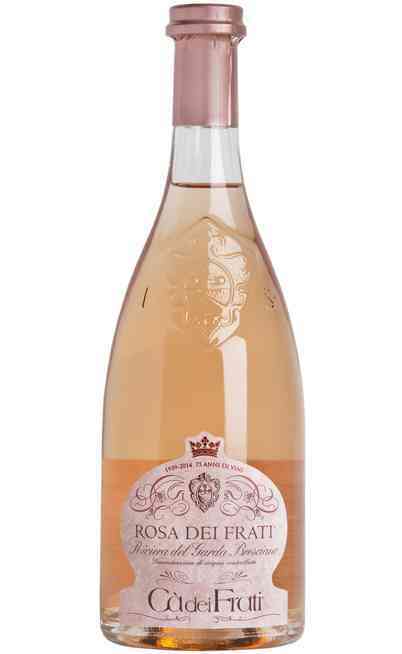 It needs 1 hour of settling and it has to be served at 18°C in a Ballon or Grand Ballon wine glass.